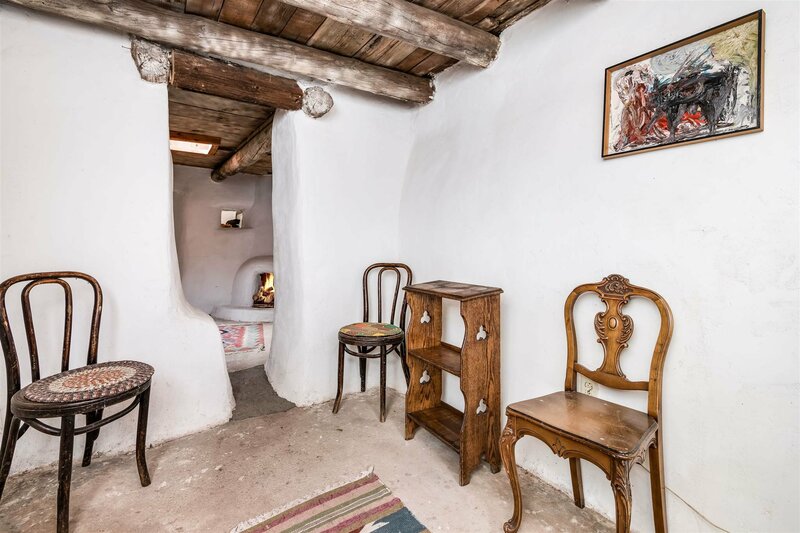 If these walls could talk what stories you would hear! 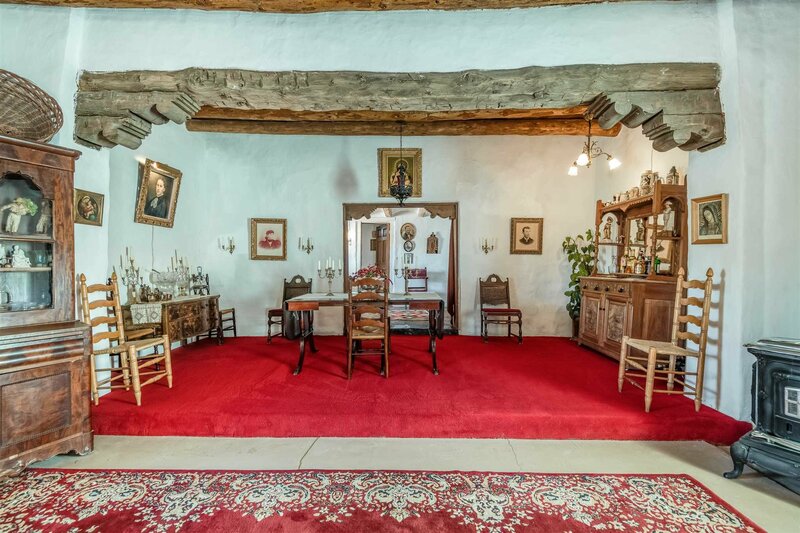 This Hacienda that has portions that date to 1750 was once 2 houses, stables, and several out buildings. 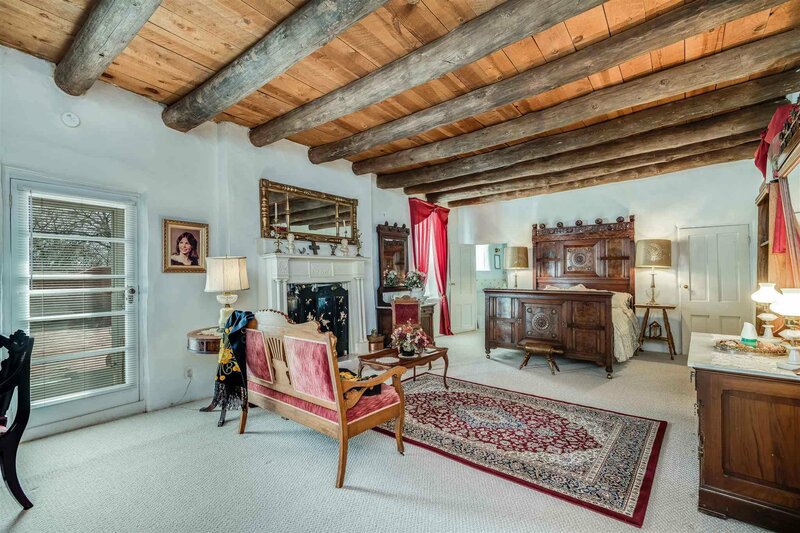 Over the years a Grand Portal and entry Zaguan were added to connect the 2 homes and to create the Grand Sala which is the heart beat of the home. The Opulent Size of this Great Room is the perfect backdrop for entertaining. 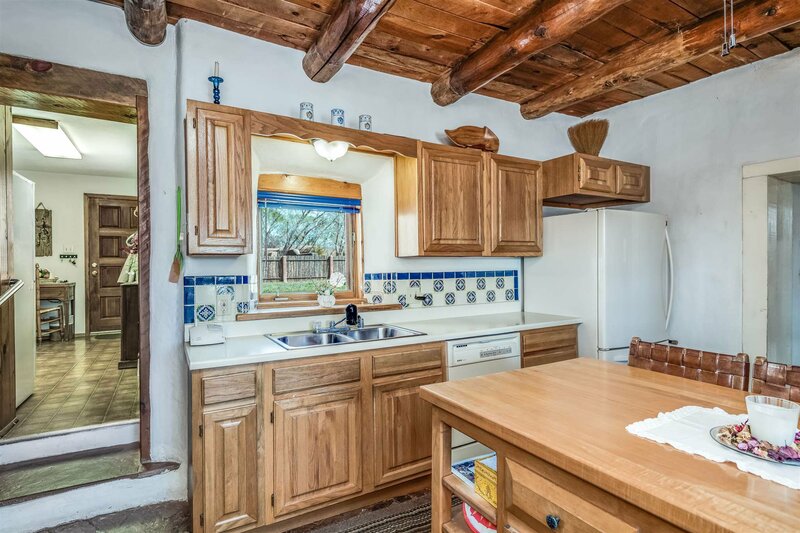 The Double Adobe and Stone home is encased within Adobe Walls that provide serenity for enjoyment of the expansive grounds with old growth cottonwoods from the shade of the long portal. 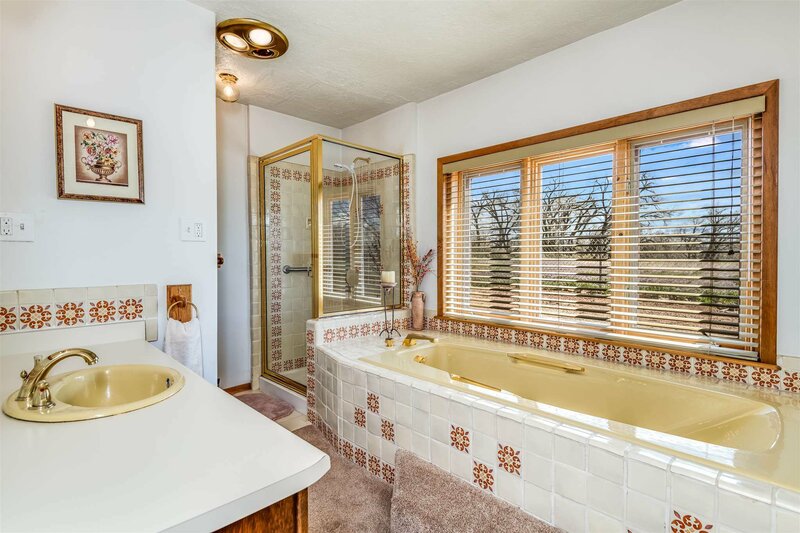 Home features split bedroom design, Guest Suite, den, and 4 legal lots of record. 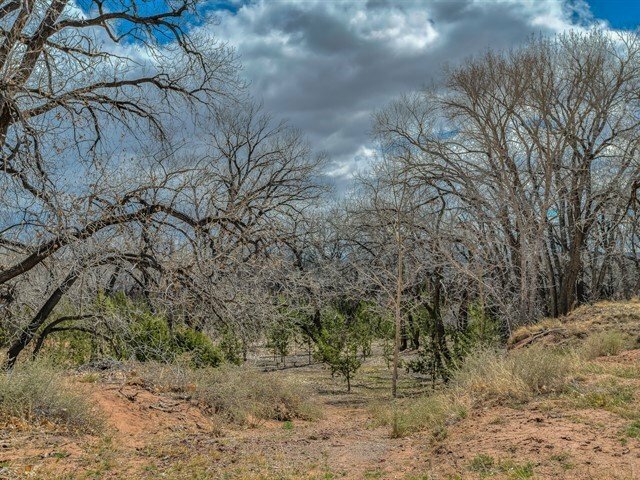 This idyllic setting along the Galisteo River offers Pasture for the Horses and ample room to build a guest house. 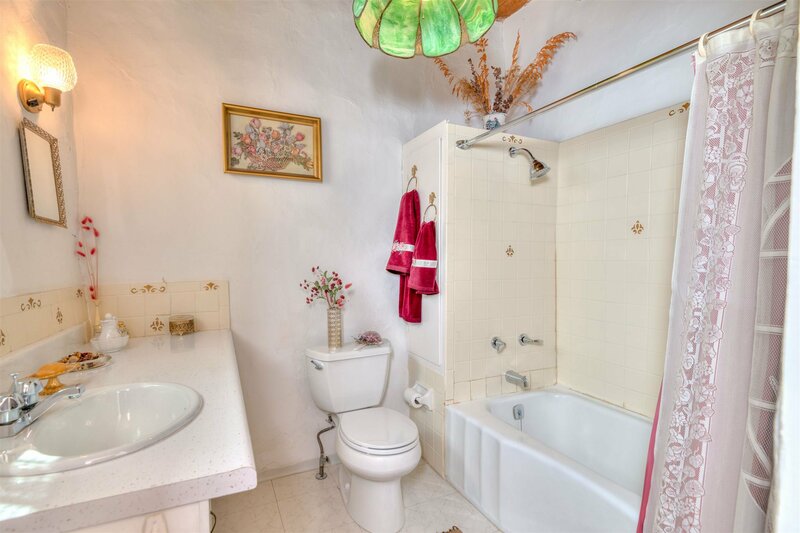 A quaint portion of the Hacienda may have been home to workers could make a studio, or quiet retreat. 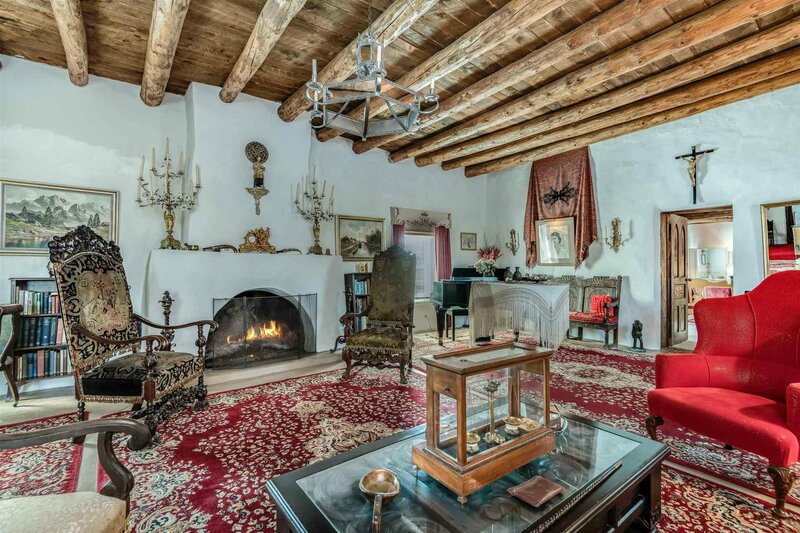 The home was reroofed in recent years and has been well maintained by the owner who in 1960 brought the property back into the hands of one of the founding families of Galisteo. 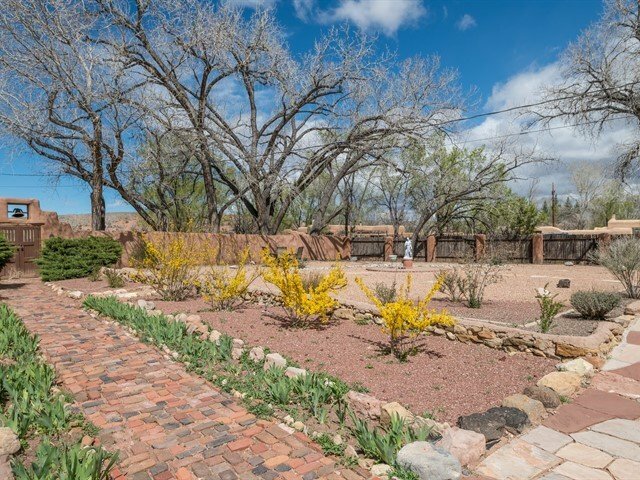 The Village of Galisteo is home to Artists, Indian Ruins, The Galisteo Studio Tour, countless films, and is a true part of New Mexico’s colorful history. 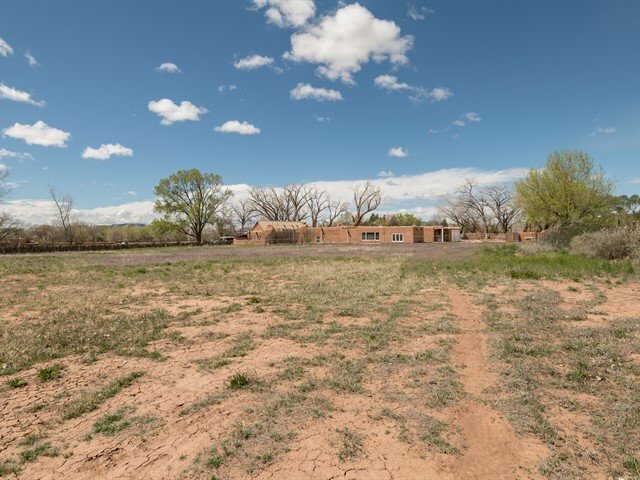 Property is about 30 minutes to The Santa Fe Plaza and about 15 minutes to amenities in Eldorado.